SEEDS runs day-to-day with the support of an energetic staff dedicated to Durham’s next generation. We are proud to be a Durham Living Wage Certified organization. 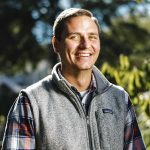 Jeff Howell joins SEEDS after four years at Southern School of Energy and Sustainability and E.K. Powe Elementary School in Durham where he worked as an exceptional children’s teacher and case manager. He earned an undergraduate degree in environmental science from Mount St. Mary’s University in Maryland, and a master’s degree in public health from the University of Pittsburgh, where he studied behavioral and community health science. He believes that hands-on learning is a necessary tool for all students to remain engaged and understand new concepts. With a persistently positive outlook, Jeff brings to SEEDS a commitment to community building, collaboration and social justice. Herb has worked in the before- and after-school programs at Hope Valley Elementary School, motivating and engaging the students in academic, social and professional experiences they might not otherwise get at school. Passionate about children, his move to Eno Valley Elementary School as an educator for children with different learning styles was a natural fit. Herb studied English and sociology at North Carolina Central University, and now, in his free time, he cooks and reads modernist fiction and poetry. (He’s also a regular participant in the annual Great Durham Pun Challenge!) As a garden and chef educator at SEEDS, Herb helps engage young people in growing and cooking food as life skills; they learn to care for the environment, conserve natural resources, build confidence and foster teamwork. Trevor is super excited to join the SEEDS Team as the Farm Manager and Educator. 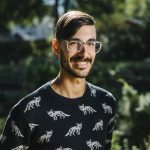 After a long stint in academia, at Trinity College, Yale, and UNC-Chapel Hill, Trevor realized the Ivory Tower was the wrong place for him, and switched to practical work with a community impact through food. 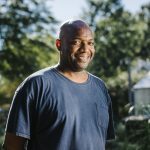 After a second Masters in Agriculture and Education at NC-State, he worked on farms and managed his own incubator plot, honing his skills in permaculture, interplanting, and seasonality, with an educational focus. 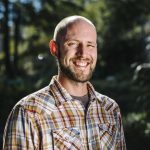 After a two-year search for the right educational agricultural nonprofit, he was excited for the possibilities unfolding in this new chapter of SEEDS. He believes that we can change the world through food and our interaction with nature, and that teaching youth will create a generation of change for the future. Eli is excited to be returning home to Durham and work with SEEDS as a Chef Educator. Eli is a Durham native and attended Southern High School and went on to earn a B.S. in Chemistry from Mills College. 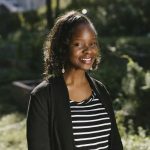 After a few years in the biotech industry they decided they wanted to focus on their dreams of seeing a more just and liberated food system by offering theirself to community in the form of garden and kitchen education. They have worked with youth in a variety of settings from personal tutoring to science enrichment to farming, all with a common thread of seeing youth discover their infinite potential. 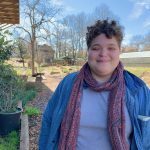 Eli joins us after returning from Oakland, CA where they most recently worked with The Edible Schoolyard as an Americorp Garden Teacher and Summer Garden and Cooking Program Manager. They hope to share with the SEEDS youth and community their passion for cooking, gardening, herbalism, art, community resilience, food justice and liberation, science, short stories, healing, and so much more. Aaron grew up growing vegetables with his mother in their garden. She was a creative gardener, scavenging potential containers in order to grow where the soil was poor. Aaron has volunteered with the Interfaith Food Shuttle’s Geer Street location, where he got his first hands-on taste of farm work. He has worked many years as a chef and wants to flip the side of the food industry he works in. At SEEDS, Aaron enjoys the hands-on learning environment, and the opportunity to learn about greenhouse-management and expand his exposure to various plants. Abby joined SEEDS after several years of work in fundraising and communications in the Triangle. She moved to Durham from Nashville where she graduated from Vanderbilt University with a degree in Human & Organizational Development. Abby believes in the power of building community through food and in her spare time can be found gardening, cooking, preserving, knitting and naturally dyeing yarn and textiles. 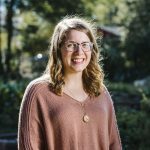 Cynelsa joined the staff after past experiences in sustainability and environmental education, administrative work, and the Conservation Trust for NC’s AmeriCorps Program. She has lived in Durham since Summer 2011, moving from Dover, Delaware after college. She earned an undergraduate degree in Environmental Engineering from the University of Delaware and is passionate about the creative and important connection between STEM and the arts. When not in our building or educational garden and kitchen classroom, Cynelsa can be found outdoors enjoying nature or volunteering in the Durham arts community, lettering local calligraphy projects, or making visual art of her own. They you could find out more will guide you through the major trigonometric concepts.